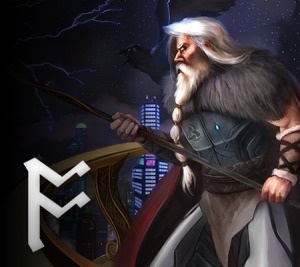 Odin Gaming uses Mail Chimp to handle its mailing list. I’ll only ever require your email address for the newsletter sign-up, and I’ll never pass this information outside of the bounds of the Mail Chimp mailing list, which is in accordance with their terms and conditions. This is because all I really need from you is a way to get in touch with you! Your email address is sufficient; no need for names, dates of birth, or physical locations. If you’ve decided they’re acceptable, then your subscription to the newsletter will be most welcome! It can be frustrating to have your email inbox filled with irrelevant messages on a daily basis, so you’ll receive an email from Odin Gaming just once a month with an update about content posted to the site in that month, plus maybe some relevant archived content. This is, of course, subject to change as the site matures, but you can unsubscribe at any point via a link provided in every email from Odin Gaming. If you’re still interested, then please fill out the (very short!) form below to subscribe!